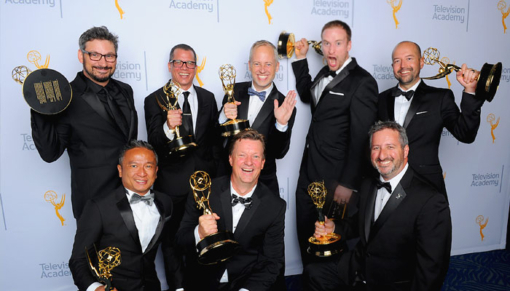 FuseFX winners include Visual Effects Supervisor Jason Piccioni and other members of the creative team: Justin Ball, Jason Spratt, Tim Jacobsen, David Altenau, Tommy Tran, Mike Kirylo, and Matt Lefferts, as well as SFX Supervisor Donnie Dean. The award was presented September 12th at the Creative Arts Emmy Awards ceremony in Los Angeles. Earlier this year, FuseFX won a 2015 VES Award for Outstanding Supporting Visual Effects in a Visual Effects-Driven Photoreal/Live Action Broadcast Program for American Horror Story. Its artists also received a nomination for Outstanding Compositing in a Photoreal/Live Action Broadcast Program. Watch FuseFX’s American Horror Story: Freakshow VFX Reel.